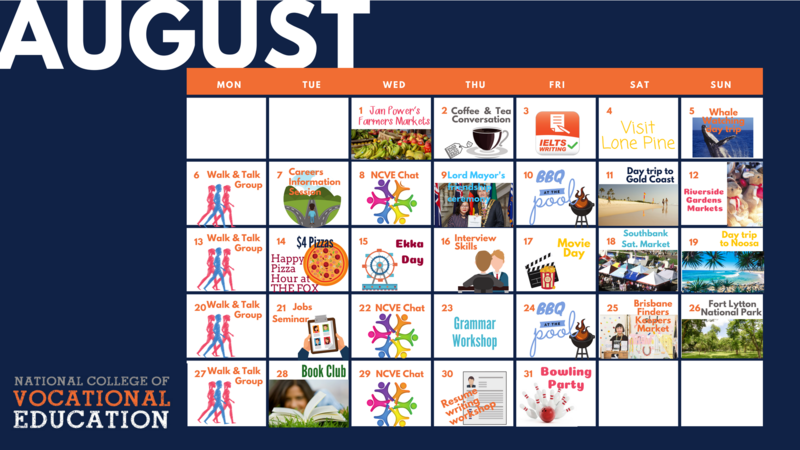 NCVE International has updated its August Social Events calendar!! 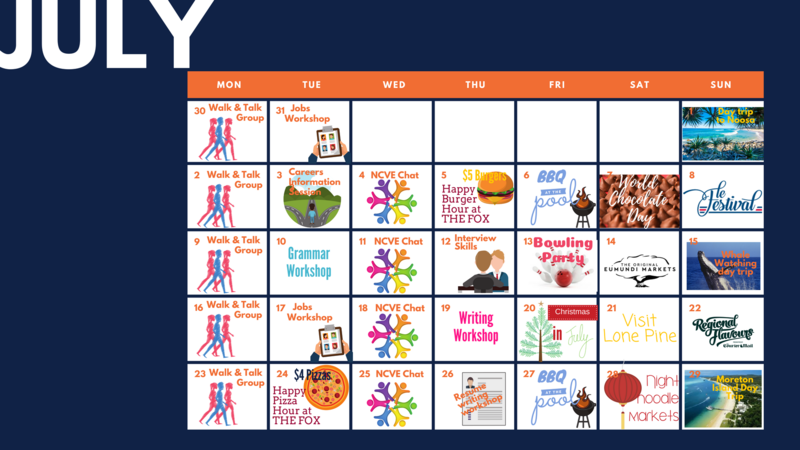 We have a huge number of events on this month including our regular Walk & Talk and NCVE Chat groups. This month we have some awesome day trips available. the Ekka Show Day and the Lord Mayor’s International Student Friendship Ceremony – we are sure our students attending will have a great time! Contact Brisbane reception or our Student Support staff for more information and to make bookings! For more information about our well-being programs while studying with National College of Vocational Education head to our Well-being Programs page under Studying with Us on our International School site.